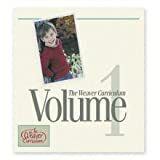 Weaver Volume 1 homeschool curriculum. No missing pages. Some highlighting on a few of the pages.